How can I describe this episode? 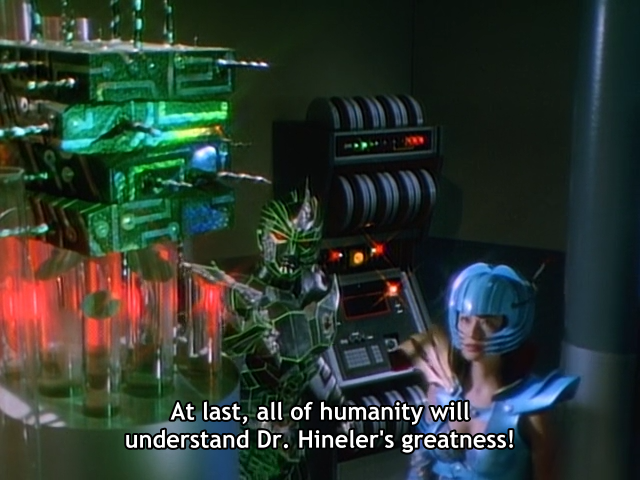 It’s like they took Megaranger and decided to make it into a Metal Gear Solid-esque show and it worked. Yellow and Black steal the episode, and they do an amazing job at it. Kubota proves once again why he’s the greatest mentor of all time, and Chisato and Kouichiro get to do tons of cool things out of suit. There’s also a few twists and surprises to be had as well! Everything about this episode is just perfect. Did I mention Kubota is the best mentor ever? Seriously, Megaranger 10 Years After when? I hope you like boats and stock footage of boats because that’s this week’s episode in a nutshell. I’m kidding, it’s actually a really great episode, but there’s a bit of boat stock footage that’s just inserted into some weird places. For example, there’s scenes where you hear a character walking, or talking, yet you’re looking at boat stock footage. Gotta sell those ferry tickets! For those who care, the boat featured in this episode is a car ferry named the Sunflower Satsuma. It was built in 1993 and, as of this writing, is still in active service. There’s even a 1/700 scale model you can buy on HLJ (which can apparently be motorized for some “exciting bathtub action”). If you care enough you can even stalk/track it using this site. Thankfully this boat was so easy to look up that I didn’t have to waste a half hour googling it, unlike that episode of Zubat with the train. 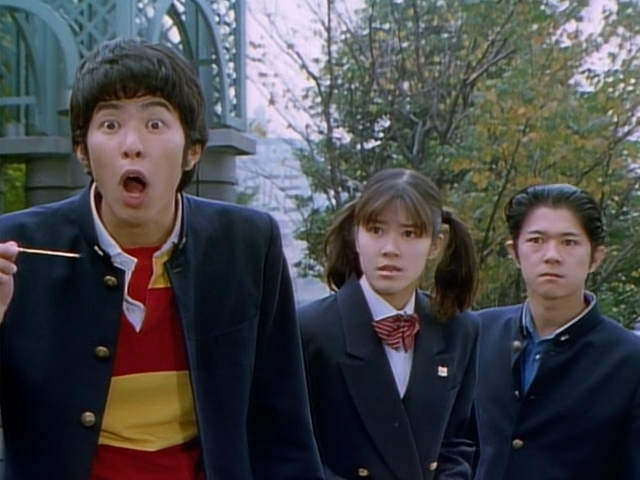 Or that hour I lost trying to identify that train in Goseiger that I still haven’t found. I’ll find out what that stupid thing is one of these days. Or I’ll just go back to playing Pokemon. Yeah, I’m gonna go back to playing Pokemon. Enjoy the episode! I just wasted a whole release post talking about a stupid boat. Dammit! EDIT: JeffB sent me this link to Sunflower Ferry’s english site. Sorry for the wait, and Happy belated New Year! A new year means new haircuts for all our heroes! I don’t get it either. Mega 44 is a recap episode that actually has a plot to it. It’s pretty funny, and if you’re the type to skip the clip shows I’d give it shot. How could you possible skip Kenta shenanigans anyways? It also helps set up episode 45, which makes 44 the literal calm before the storm. 45 is where the final arc of the show begins and features the return of the two best side characters this show has. It’s wicked good. Ever wonder where Kunekune come from? Anyways, enjoy the two pack and we’ll see you again next week.